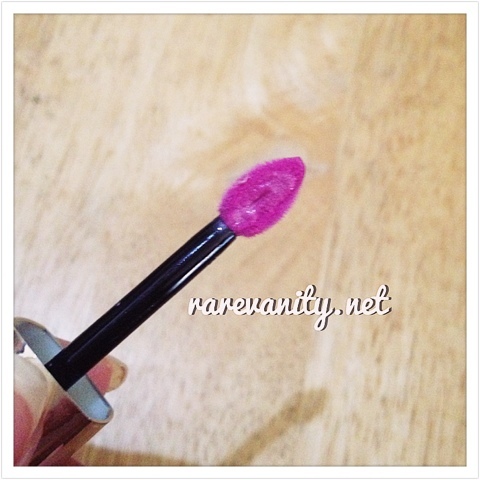 Review: L'Oreal Shine Caresse Lip Color in Milady* | Vanity and Everything in Between. Last month, I posted my unboxing post of BDJ's beauty box for March. It was all sorts of awesome! 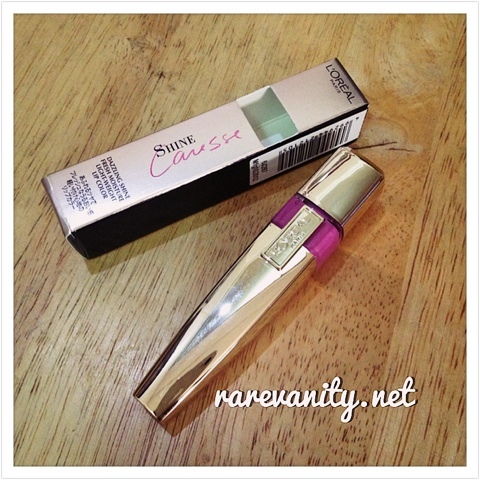 Among all the products, what caught my attention the most was Shine Caresse. If you've been reading this blog for awhile, you'd know that I love lip products particularly lipsticks or those that gives a different shade to my lips. Click on the link to see the full post! I've seen the product before at SM department store but I never bothered asking for it because I'm trying to stay away from lipsticks. You can also see from my recent hauls that I haven't bought lipsticks in a while. When I opened this product, I thought it was a solid lipstick. So, I was surprised to see that it is in liquid form! It is so opaque when I swatched it at the back of my palm. However, its opaqueness wasn't so obvious when I applied it on my lips. I am confused if this is a lipstick or a lipgloss. The staying power of this product for me is mediocre. It can stay as long as four hours without fading given that you are not using your lips - no eating and drinking. But if you're the type who always feels the need to put something on your mouth, then it can fade as early as 30 minutes after application. Other than its staying power, what bothers me the most is its scent. It has this flowery scent that smells too strong for me. It's too fragrant, IMO. Beauty products with scents are okay but it has to be kept at a minimum. 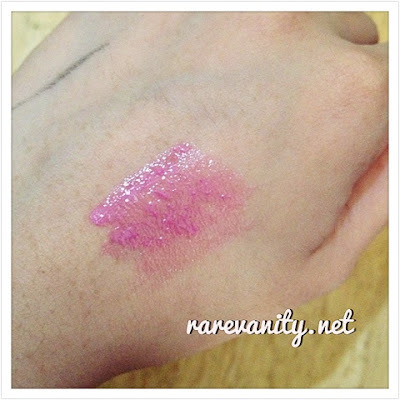 The scent of Shine Caresse is too strong that I always have second thoughts if I should continue applying it on my lips. It feels light on my lips, though. That is something you might want to consider. As for the shade, I like it better from the tube than on my lips. It is a nice color, don't get me wrong. 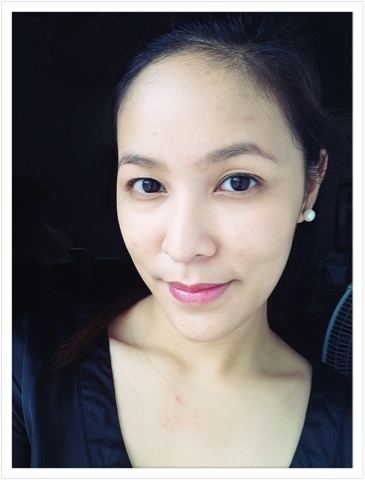 Milady is even the best-selling shade as per L'Oreal's saleslady at SM department store. I've seen the other shades and I think I prefer the red and violet shades so that it would appear more on the lips. Basing it from the photo, it's as if I'm not wearing any lipstick. If you want something light for your lips that can give it life and shine, then you can try Shine Caresse. This product retails for PhP595.00 at leading department stores. Me too! I just wish the swatch is as pretty when applied on the lips. Haha! Have You Visited Digital Traincase Shop?